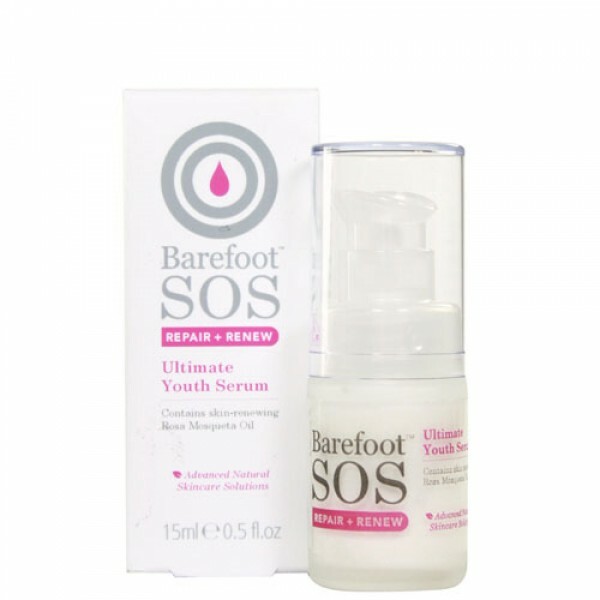 This product was previously known as Barefoot Botanicals Rosa Fina Instant Youth Serum. AQUA (WATER), ROSA CANINA (ROSEHIP) FRUIT OIL, GLYCERIN, HYDROGENATED VEGETABLE GLYCERIDES, BORAGO OFFICINALIS (BORAGE) SEED OIL, MACADAMIA TERNIFOLIA SEED OIL, XANTHAN GUM, PHENOXYETHANOL, ARGANIA SPINOSA KERNEL OIL, CETEARYL ALCOHOL, PANTHENOL, TOCOPHERYL ACETATE, CAPRYLYL GLYCOL, SODIUM STEAROYL GLUTAMATE, ALCOHOL, CITRUS NOBILIS (MANDARIN ORANGE) PEEL OIL, ALLANTOIN, THIOCTIC ACID, TOCOPHEROL, LIMONENE*, GLYCERYL OLEATE, FUSANUS SPICATUS (SANDALWOOD) OIL, LAVANDULA ANGUSTIFOLIA (LAVENDER) OIL, ACMELLA OLERACEA EXTRACT, BOSWELLIA CARTERII (FRANKINCENSE) OIL, ROSA DAMASCENA FLOWER OIL, HELIANTHUS ANNUUS (SUNFLOWER) SEED OIL, CALENDULA OFFICINALIS FLOWER EXTRACT, TUSSILAGO FARFARA (COLTSFOOT) FLOWER/LEAF EXTRACT, LINALOOL*, ASCORBYL PALMITATE, ALCHEMILLA VULGARIS (LADY’S MANTLE) LEAF EXTRACT, PELARGONIUM GRAVEOLENS (GERANIUM) FLOWER OIL, CITRONELLOL*, CITRIC ACID, GERANIOL*. *Aromatic components of essential oils. Apply a small dot using light tapping movements with the fingertips, paying particular attention to areas with deep lines. For external use only. 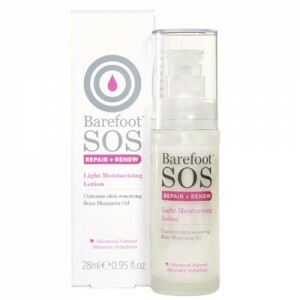 It is important to patch test if you think you may be sensitive to any ingredients used. Contains nut oil. Avoid contact with eyes. Store in a cool place away from sunlight.